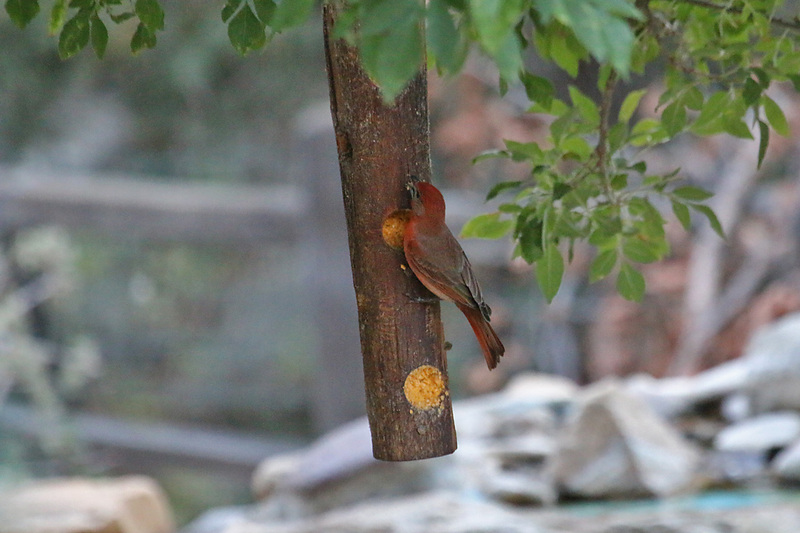 Before dusk we spent a while watching the feeders and birding around the lodge, which produced WILD TURKEY, the roosting TURKEY VULTURE flock in the big sycamores by the creek, COOPER’S and GRAY HAWKS, MAGNIFICENT, BLACK-CHINNED, BROAD-TAILED and BROAD-BILLED HUMMINGBIRDS, DUSKY-CAPPED FLYCATCHER, VIOLET-GREEN SWALLOW, BRIDLED TITMOUSE, AMERICAN ROBIN, PAINTED REDSTART, a ‘GRAY-HEADED’ DARK-EYED JUNCO, LINCOLN’S SPARROW, GREEN-TAILED TOWHEE, HEPATIC TANAGER, a load of BLACK-HEADED GROSBEAKS, and a LAZULI BUNTING. 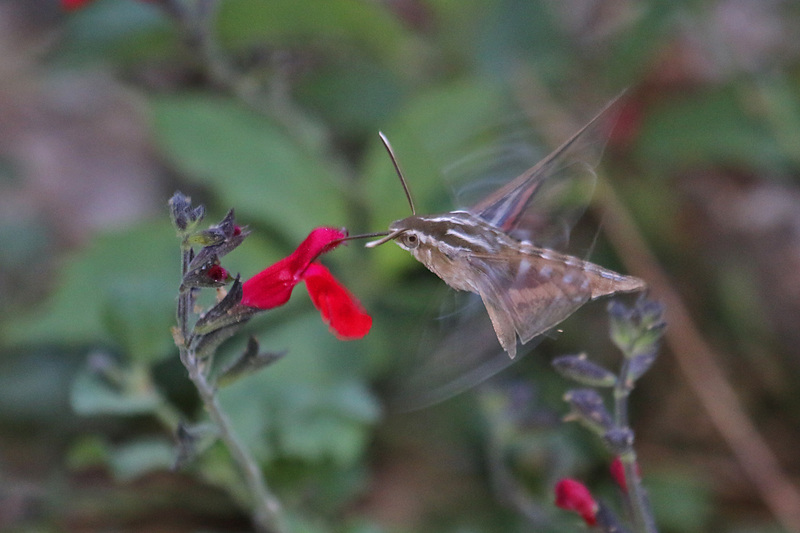 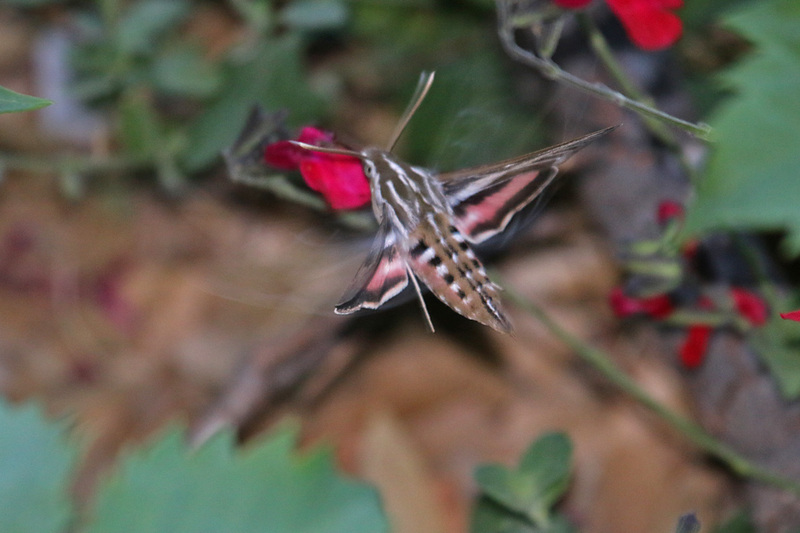 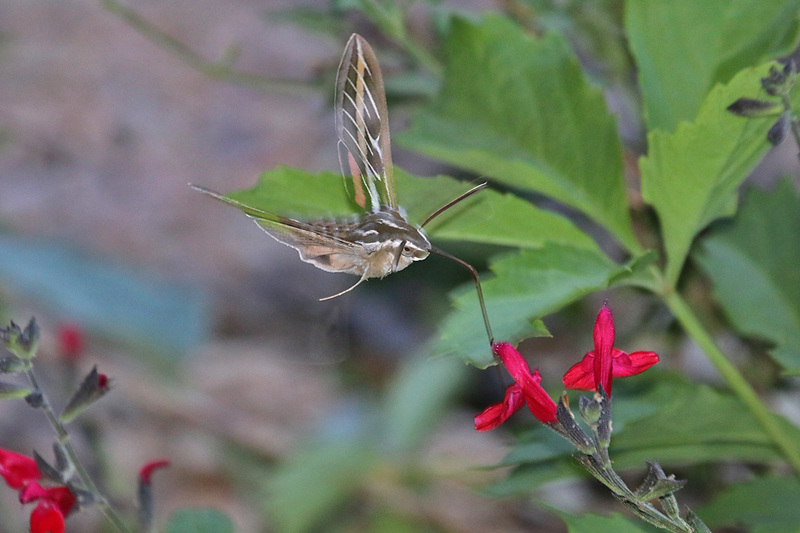 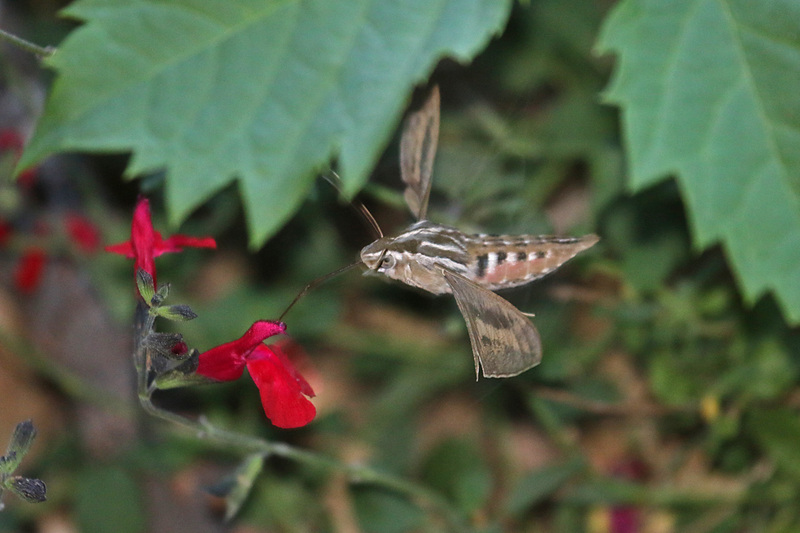 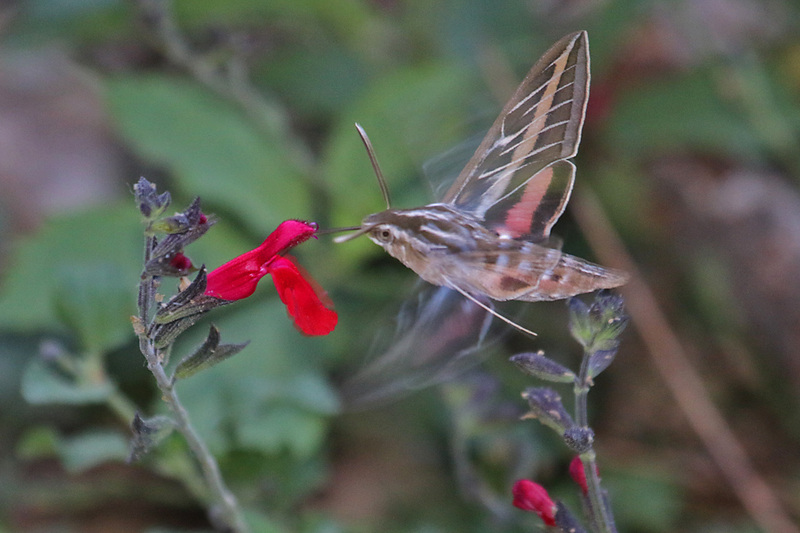 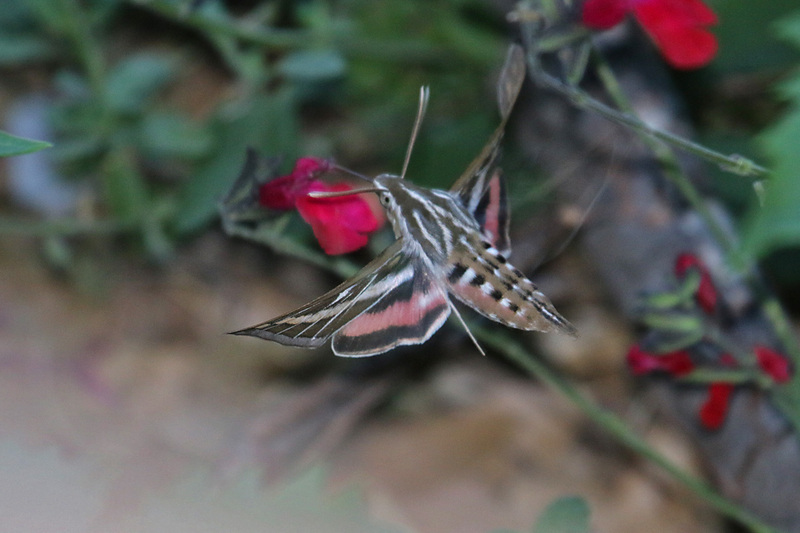 We also enjoyed watching a couple of WHITE-LINED SPHINX MOTHS feeding on salvias. 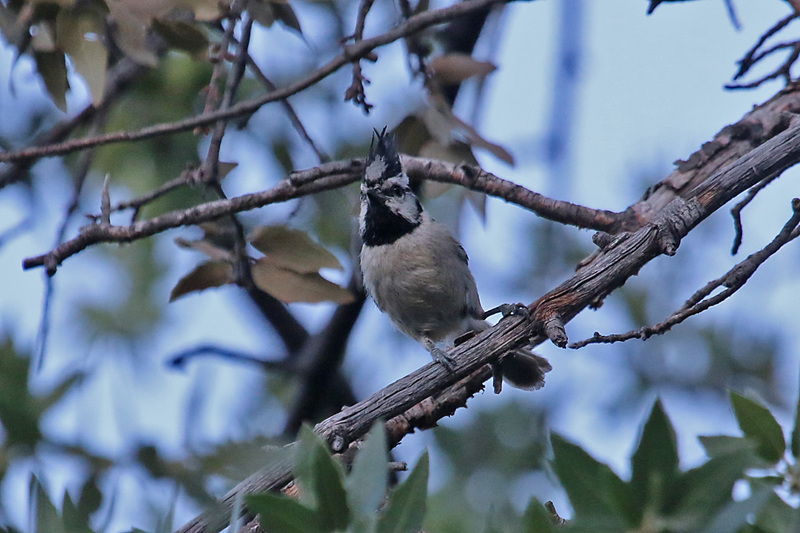 As dusk fell, we joined a small crowd outside’s Steve’s house to see the female ELF OWL poking her head out of a nest hole in a telephone pole. 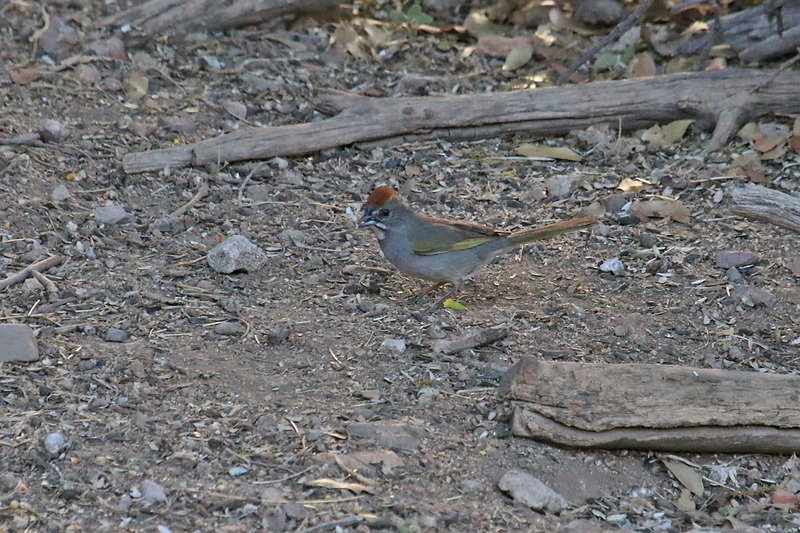 As we ventured further, we started to hear more and more ELF OWLS, up to eight different birds. 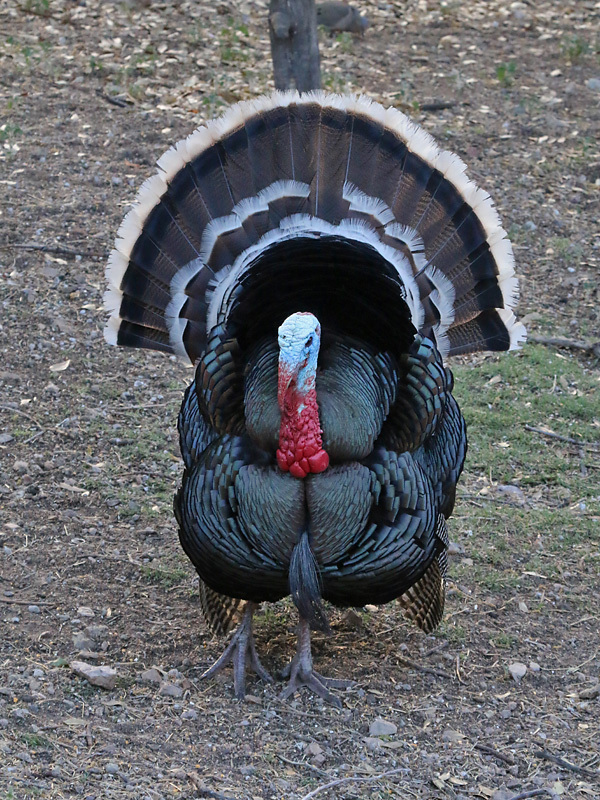 It really is quite a common bird when you take the time to listen for them in the right habitat. 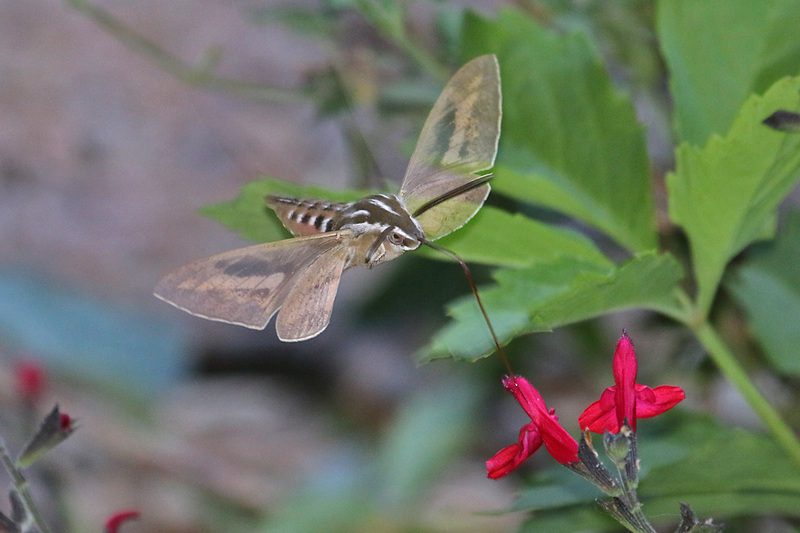 A LESSER NIGHTHAWK appeared briefly over the skyline, a COMMON POORWILL was calling in the distance, and a couple of MEXICAN WHIP-POOR-WILLS struck up a conversation without us ever getting close to a view, as usual. 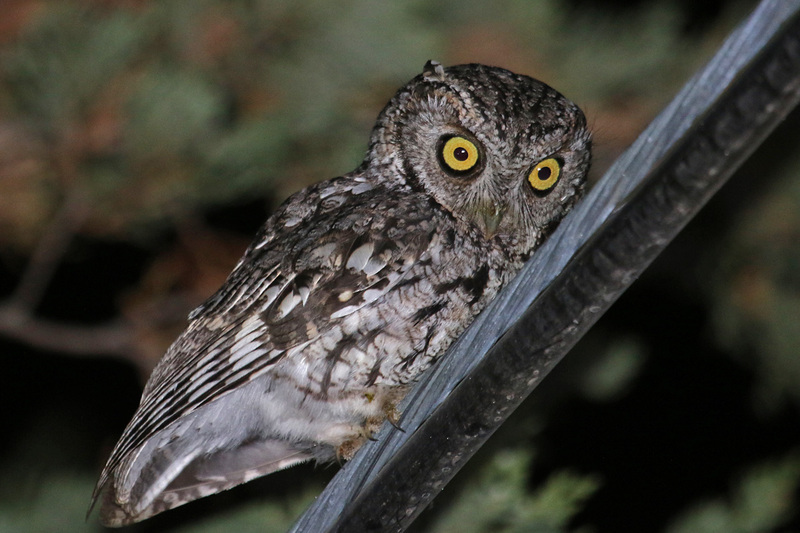 We also started to hear WHISKERED SCREECH-OWLS, another bird that is quite common in this habitat. 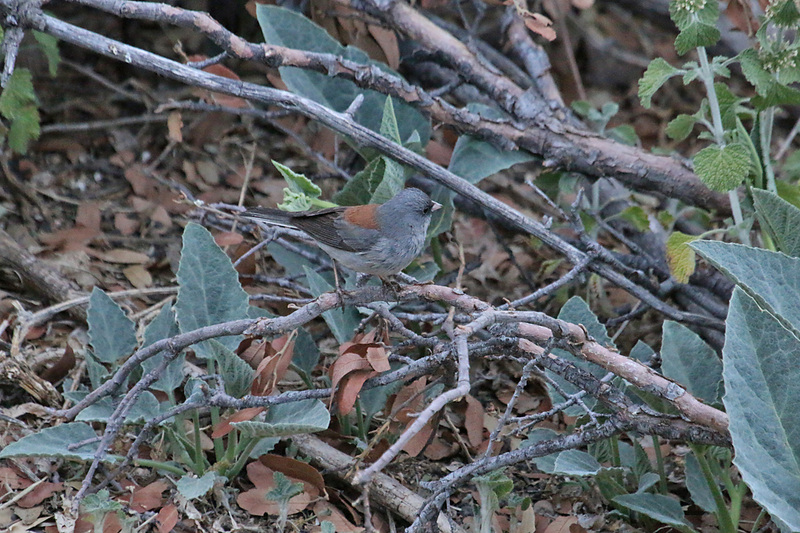 One bird seemed particularly interested in us and we ended up getting excellent close views.